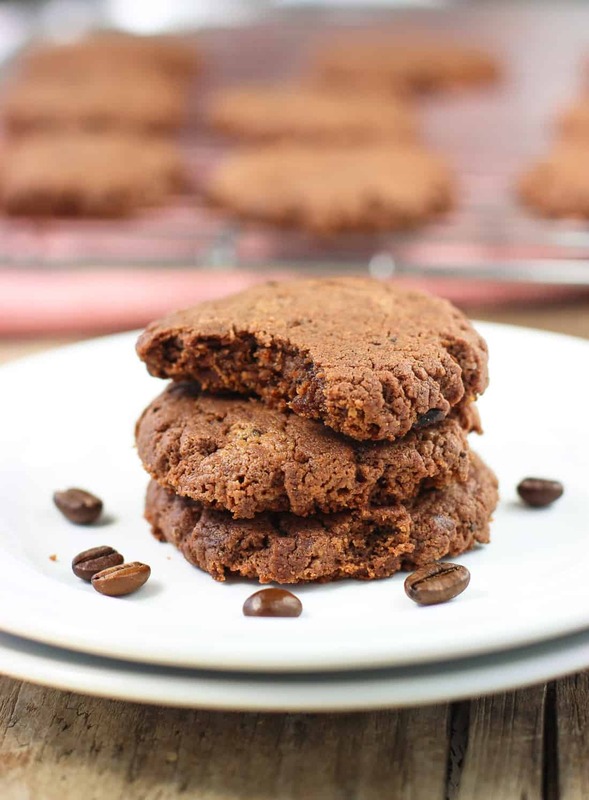 Healthy Espresso Chocolate Almond Butter Cookies are soft and only lightly (and naturally) sweetened. 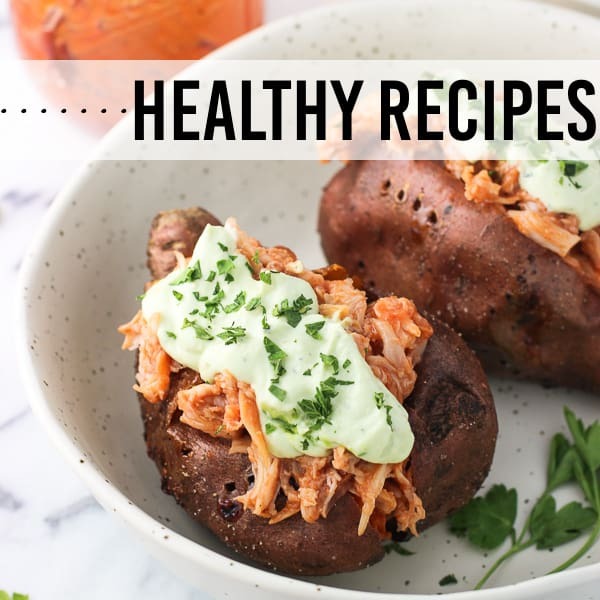 They’re healthy enough for breakfast! This week we finally get the keys to our house. YES. Counting. the. minutes. And this couldn’t have come at a better time as our apartment-living life has taken some weird turns as of late. We get everyone else’s mail (who’s getting ours? ), we can hear our neighbor’s seasonal allergy sneezes through the wall now that spring is in full bloom, and WHAT is happening with our shower head. Overnight it became a legit fire hose…pressure so hard it hurts. The freaky thing is that the night this bizarre shower thing started was the night the Seinfeld rerun was the episode about the shower head. Have you seen that one? Here’s a minute-long Youtube clip if you haven’t, and it hits the nail on the head. All of a sudden we have the Commando 450. So, the prospect of a singular mailbox, detached home quietness, and water pressure that doesn’t sting in my near future is making me happy. 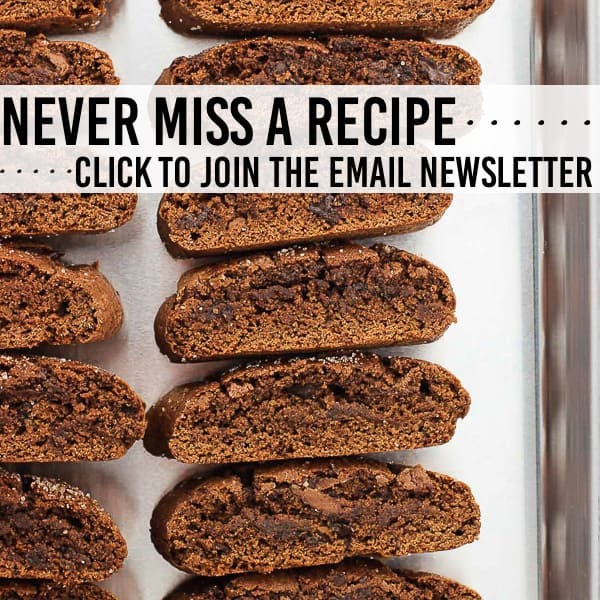 What also making me happy are these healthy espresso chocolate almond butter cookies. Oh MAN! 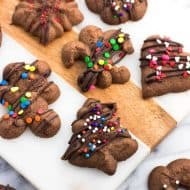 The whole batch of these flourless beauties uses just one tablespoon of maple syrup as the sweetener for twelve cookies, and they include ground flaxseed, unsweetened cocoa powder, and ground espresso beans. 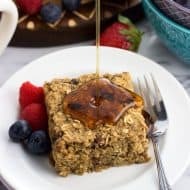 All that goodness is in addition to a cup of almond butter, a little bit of vanilla extract, and an egg to hold it all together — and that’s it! These aren’t the most sturdy cookies, so storing in a container vs. throwing them in a plastic bag is the way to go. 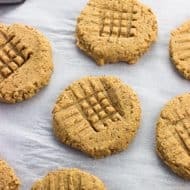 As they bake there will likely be a little bit of the oil from all the almond butter releasing around the edges of each cookie. There shouldn’t be much, and will dry up as the cookies are done baking and cool. Make sure you mix up your almond butter well before using. Technically the espresso beans are optional, but I love the espresso flavor in nearly everything. 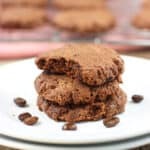 You can either omit, grind up whole espresso beans (like I did for the cookies in these pictures), or for a quicker option, sub in a pinch of instant espresso powder instead of the ground up beans. <— that would be a good option if you want a more evenly-dispersed espresso flavor and don’t want to crunch into little pieces of espresso beans. Preheat oven to 350 degrees F. Add all ingredients except for the espresso beans to a bowl and mix until just combined. Stir in roughly ground espresso beans. 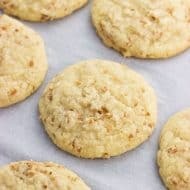 Using a cookie scoop or a spoon, form balls equal to about 1 1/2 tablespoons and place them on an ungreased baking sheet. Using the bottom of a flat glass, press down on each dough ball to flatten each cookie to approx. 1/2" thick. 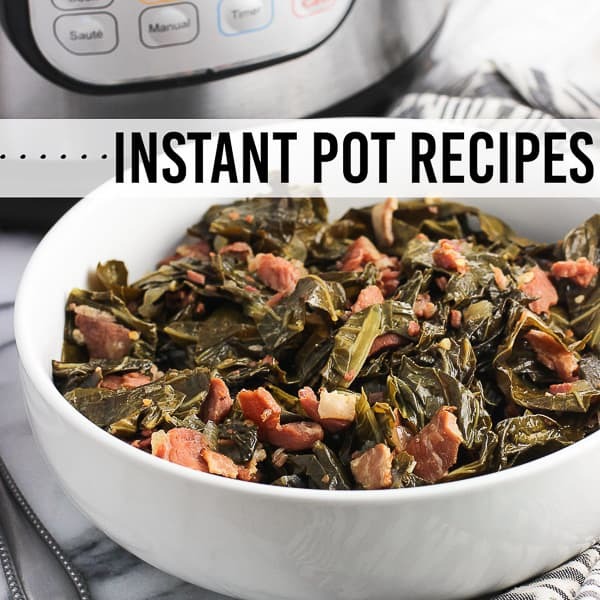 Bake for 8-10 minutes, or until the edges are lightly browned and the tops have set. Let cookies cool on the baking sheet for about 10 minutes so they set up some more. Transfer cookies to a wire rack to cool completely. Make sure your almond butter is nice and stirred up before using so the oils are evenly mixed in. Yay for a new house!! haha oh I remember living in an apartment and dealing with weird things like that! 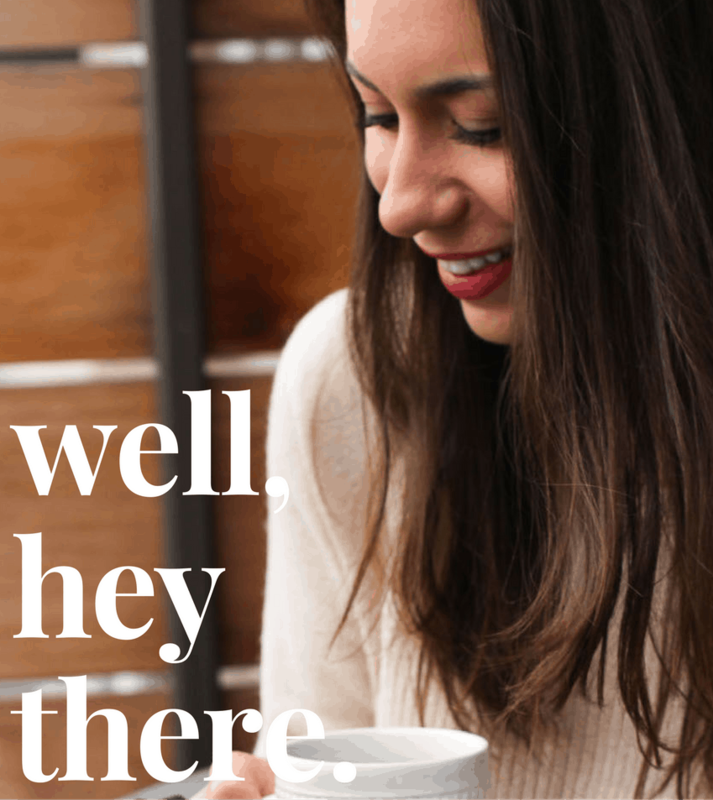 The neighbors really killed my husband – it would drive him mad!!! PS these cookies sound awesome. Love espresso anything!! 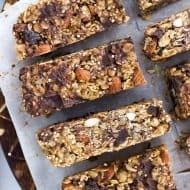 Will try this recipe; sounds yummy and just what I need to grab n go for my busy mornings! It will also work for a quick pick me up as I head to the gym. Thanks, Alyssa. Congrats on your move!! 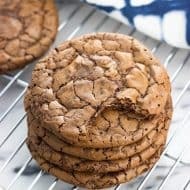 Sounds like it’s perfect timing 🙂 And I’d LOVE one of these espresso cookies with my cup of coffee! Yay for getting your house keys! That is SO exciting! And what perfect timing too! We close on our house a week from Friday, and I am beyond excited! 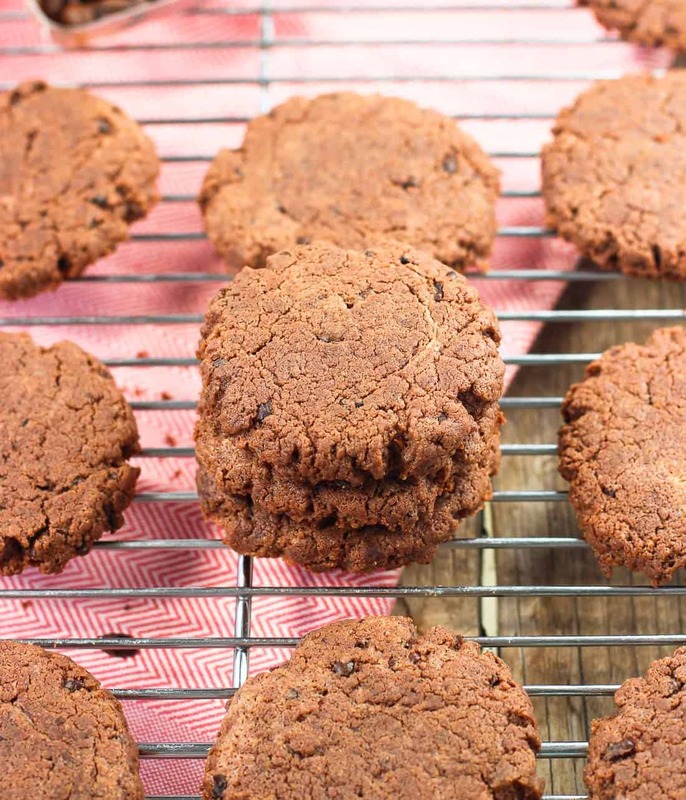 And these cookies…you had me at almond butter! Love the espresso and chocolate in here too, Alyssa. This might just be the ultimate cookie!